This hardware offers clean and elegant lines and is a beautiful addition to kitchen or bathroom cabinetry or furniture. Fasteners are sized to work with standard 3/4 in. drawer fronts and cabinet faces. Installs easily for an instant, noticeable change. The Beverly 1-3/4 in. 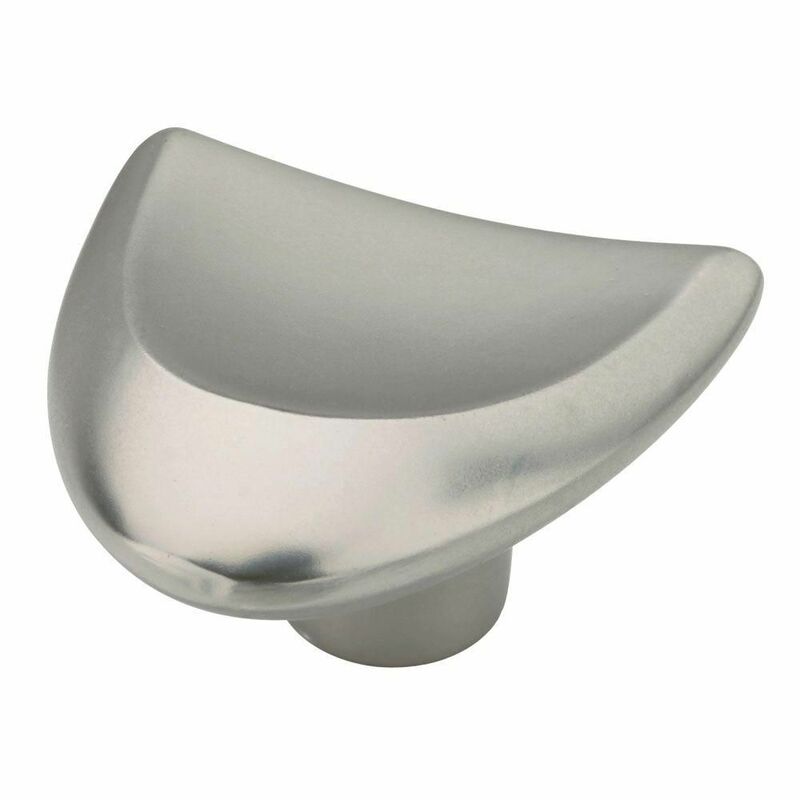 Satin Nickel Knob features a high-quality zinc die-cast metal base material for years of use. Premium satin nickel finish complements many types of decor. This cabinet knob comes with hardware for ease of installation. Fingertip Knob This hardware offers clean and elegant lines and is a beautiful addition to kitchen or bathroom cabinetry or furniture. Fasteners are sized to work with standard 3/4 in. drawer fronts and cabinet faces. Installs easily for an instant, noticeable change. Fingertip Knob is rated 4.5 out of 5 by 4. Rated 5 out of 5 by disgusted from seems to be well enough made and the 2 screw length sizes are helpful. seems to be well enough made and the 2 screw length sizes are helpful. Rated 3 out of 5 by Toolie from Too small for cabinets These fingertip pulls are way too small for wall cabinets that go to the ceiling. They just looked silly. We decided to buy the drawer pulls and install them vertically on the wall cabinets. Rated 5 out of 5 by RussG from Great design Very cool look and feels very natural when opening drawers. Rated 5 out of 5 by Charles from Great Product! This product is great and matches the knobs on my vanity perfectly!! !